Successfully Added Lenovo Tab 3 8 Plus Tablet PC - Snapdragon 625 CPU, 3GB RAM, Dual Speaker, 8 Inch 1920x1200 Display, Android 6.0 (Blue) to your Shopping Cart. Qualcomm Snapdragon 625 CPU, 3GB RAM and Adreno 560 GPU for an amazing performance. 8 Inch IPS display with 1920 x 1200 resolutions brings quality viewing for all your media. 4250mAh battery is enough to see you through the day. Android 6 OS with parental control means you don't have to worry about the kids borrowing it. The Lenovo Tab 3 8 Plus is a mid-priced tablet PC with high specs. It has the Qualcomm Snapdragon 625 CPU that has 8 cores and runs at 2.0GHz. This setup includes an Adreno 506 GPU and it comes with 3GB of RAM. there is 16GB of onboard storage which can be expanded by up to 64GB with a micro SD card. This is a superb setup given the price and more than capable of meeting all but the most demanding tasks be it gaming, streaming movies or multitasking. An 8 inch IPS screen means you get wide viewing angles, with 1920 x 1200 resolutions you have a pixel density of about 283ppi, this means movies and games will be crisp and clear letting you enjoy films and video with great color definition and detail. 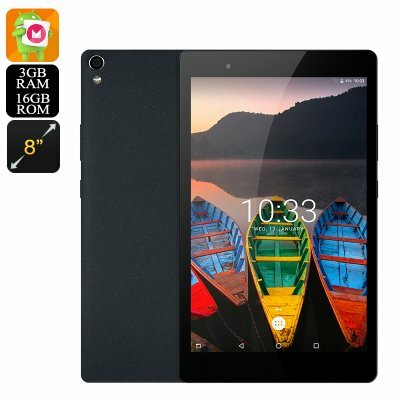 The Tab 3 8 Plus tablet PC is equipped with a 4250mAh battery which should last regular users about a day, the tablet also has respectable recharge speeds. Running on the Android 6 Marshmallow software you'll have access to the Google Play store and a wide selection of apps and games. There is an easy to use guest and parental control mode so you needn't worry about handing the tablet over to your children. 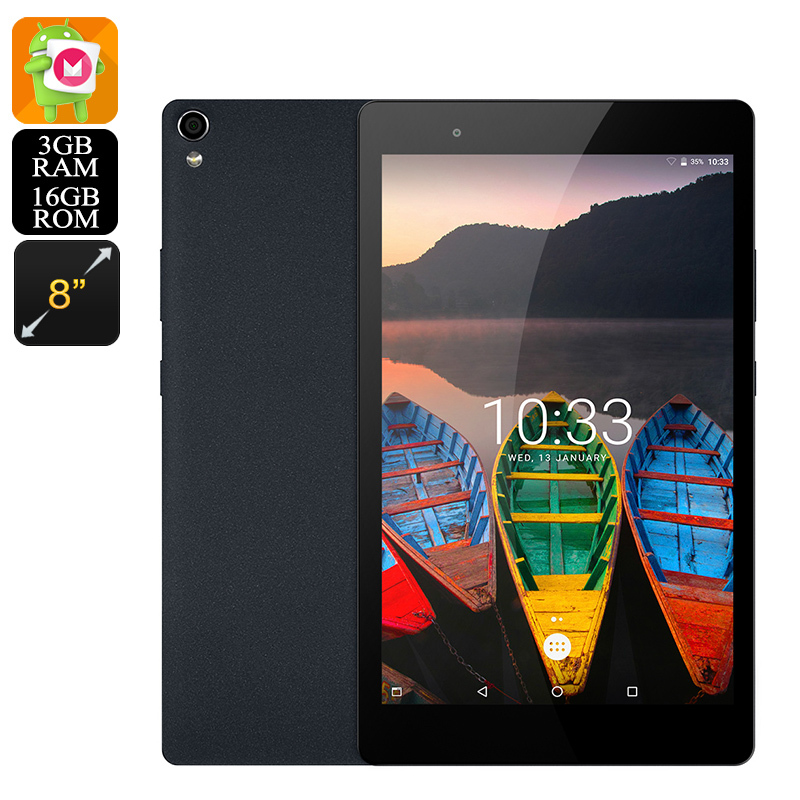 The Lenovo Tab 3 8 Plus tablet PC comes with 12 months warranty, brought to you by the leader in electronic devices as well as wholesale Android tablets..